College football Week 2 was defined by some incredible streaks being broken by teams that have been on the losing side of things for years. The longest road losing streak in history was snapped, and the nation’s longest losing streak to a single team also is now a thing of the past. In addition to those incredible achievements, this weekend was a prime opportunity for some of the nation’s top playmakers to put up gaudy stats. And they did just that. We’re diving into those topics and more as we look at the biggest takeaways from college football Week 2. As we predicted in our weekly preview, many of the top Heisman favorites had some pretty big games against favorable matchups. 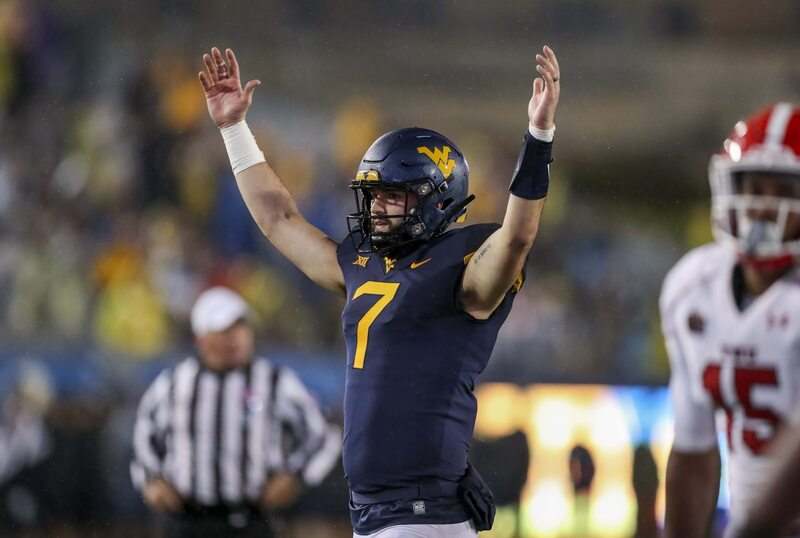 West Virginia quarterback Will Grier threw four more touchdowns, bringing his two-game total up to nine. Wisconsin running back Jonathan Taylor went off for 253 yards and three touchdowns. Attempting just 19 passes, Tua Tagovailoa of Alabama tossed four touchdowns of his own. Ohio State’s Dwayne Haskins also threw four touchdowns on Saturday, as did Oregon quarterback Justin Herbert. It was just a big day for big-name players who hope to hear their names called in New York this December. Last weekend’s shutout win at home against Austin Peay didn’t tell us a heck of a lot about what to expect from Georgia this year. Saturday’s dominant road win against a very good South Carolina squad did. The Bulldogs are a powerhouse. The defense is a meat grinder that hasn’t lost much — if any — firepower from last year’s squad, despite losing some stars to the NFL. The Gamecocks managed just 54 yards on the ground, and Georgia forced Jake Bentley into two interceptions, including a 56-yard pick-six early in the game. To be honest, that interception total should have been at least doubled, but defenders dropped some passes that hit them right in the hands. Offensively, aside from a horrible throw that resulted in an interception by Jake Fromm, Georgia dominated. The run game was relentless, as eight players rushed for 280 yards and three touchdowns. It was the kind of performance that truly justified Georgia’s No. 3 rank. The Oklahoma Sooners breezed past UCLA Saturday, one week after dispensing with FAU in similar fashion. The team itself is impressive, possessing multiple stars on both sides of the ball. 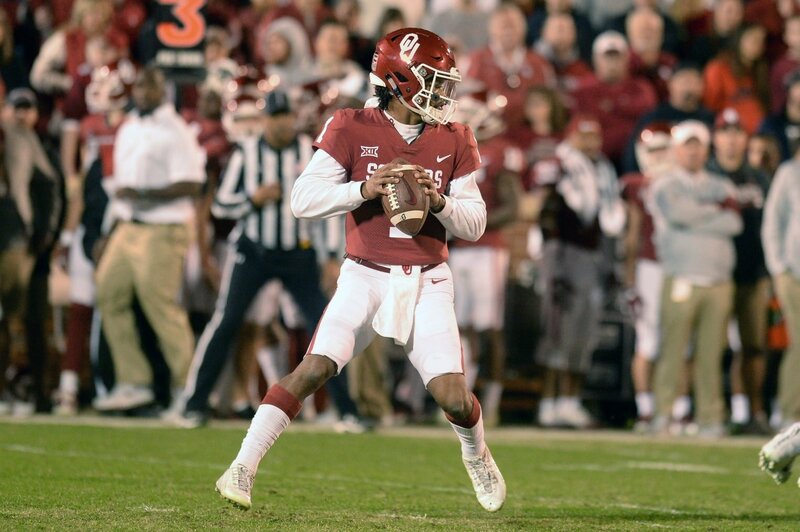 But like last year when Baker Mayfield was at the helm, it all runs through Kyler Murray, the two-sport star who’ll join the Oakland Athletics next year. Against UCLA, Murray did a phenomenal job distributing the ball to his playmakers. Completing 19 passes to seven different receivers, he racked up 306 yards and three touchdowns through the air. Murray also added 69 yards and two scores on the ground. He’s an incredibly gifted athlete, and based on the injury to star running back Rodney Anderson the Sooners might have to lean on him even more in the coming weeks. For a little while there, it sure looked like Florida State was going to lose its second straight game to open the Willie Taggart era. Samford had a 23-21 lead for most of the entire second half before they put three more on the board midway through the fourth. That’s when Florida State woke up from whatever bad dream was haunting it. Deondre Francois led the Seminoles on an 11-play, 82-yard touchdown-scoring drive, then capped it off with a successful two-point conversion to go ahead by three. Then, as Samford attempted a comeback of its own, Levonta Taylor picked off Devlin Hodges and went 63 yards to the house to put FSU up by double digits. It wasn’t a pretty win. It wasn’t one that will help the Seminoles move up the rankings. But it was absolutely necessary, and who knows what this will lead to in the coming weeks? It’s never easy to go into Stanford Stadium and beat the Cardinal. So we weren’t exactly shocked to see true freshman JT Daniels and the Trojans struggle Saturday night. That said, it was a pretty brutal night for the young quarterback. First, he suffered an injury to his throwing hand — thankfully it turned out to be minor. Things didn’t get any easier after he came back from the locker room. Stanford’s defense was swarming Daniels in the backfield on a constant basis, and he struggled to connect with his receivers. The freshman ended up passing for just 215 yards, completing 16-of-34 attempts while throwing two interceptions and no touchdowns. Stanford cruised to victory at home, winning 17-3, and it’s likely this won’t be the last rough outing for Daniels this season as he learns how to play the position at this level. The Aggies came within a whisker of tying up Saturday night’s game against Clemson at Kyle Field. Unfortunately, a fumble that was deemed to have gone through the end zone doomed one chance, and then an interception on a two-point conversion with under a minute remaining sealed the 28-26 win for Dabo Swinney’s Tigers. But this was a huge win for Jimbo Fisher and the Texas A&M program. Taking the No. 2-ranked team in the nation to the brink is no easy task. And it wasn’t fluky, either. Kellen Mond was a revelation, piling up 466 total yards and three passing touchdowns — the Aggies clearly have a quarterback now. The defense put up quite a fight, too, though tackling needs to be addressed in the secondary. This team is going to be competitive all year long, and it’s clear that Fisher’s influence is taking an immediate effect. Last weekend, we got to see just how good McKenzie Milton can be in Jeff Heupel’s offense. On Saturday at home against South Carolina State, he struggled with turnovers, throwing three interceptions. And while we acknowledge that the Bulldogs aren’t exactly going to scare top teams, it was still impressive how much firepower UCF had while Milton floundered in the passing game. The Knights pounded the ground game relentlessly. Led by the speedy Adrian Killins Jr., eight different players ran the ball for a total of 316 yards and four touchdowns. 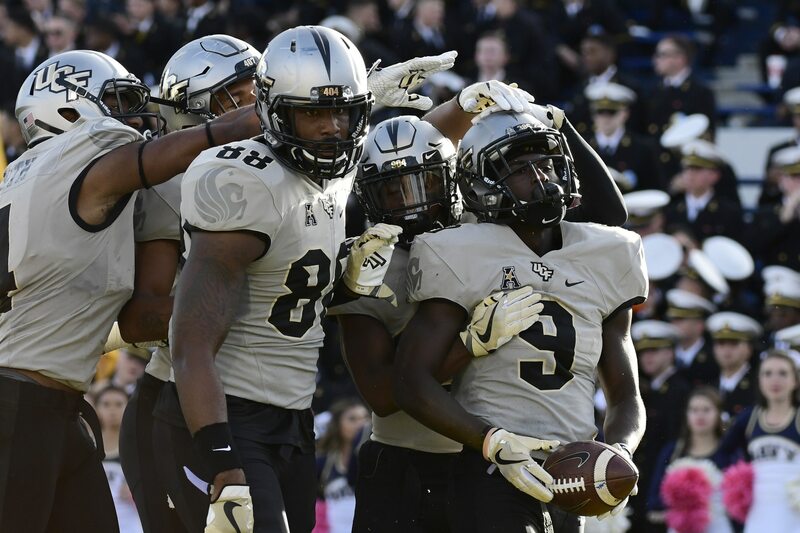 With this kind of balance on offense, the Knights are going to be very tough to beat, especially when Milton bounces back and has the kind of game we’re used to seeing. The focus this past week in many discussions about the Bulldogs has centered around Nick Fitzgerald, who returned to the starting lineup after serving a one-game suspension. But through two weeks, it’s crystal clear that the man opposing teams need to focus on stopping is Kylin Hill. The explosive sophomore running back had a somewhat muted 103-yard, two-touchdown game in Week 1 as freshman quarterback Keytaon Thompson romped for seven scores against lowly Stephen F. Austin. On Saturday, Hill was once again ruthlessly effective in a starring role, going off for 227 yards and three touchdowns. On the season, Hill has piled up 330 yards and five touchdowns on just 28 total touches. He’s electric, and the Bulldogs need to feature the heck out of him going forward. It’s hardly surprising that Michigan routed Western Michigan in Ann Arbor on Saturday. It really would have been something if the Broncos had been able to compete with the Wolverines. After last weekend’s debacle in South Bend, the offense needed to look competent and execute, and it did. Running backs Karan Higdon and Chris Evans led the charge, piling up 242 yards and three touchdowns between them on the ground, and quarterback Shea Patterson accomplished something the Wolverines haven’t done since almost a year ago to the date. The end result was a comprehensive 49-3 blowout that gives Michigan something to build on going forward. But make no mistake about it, this win really doesn’t tell us much about this team, and we might not know the true state of the program for another month when Wisconsin comes to town. What the heck happened to Notre Dame? We jump from Michigan to the team that took Harbaugh and Co. behind the woodshed in Week 1. Notre Dame went from looking darn good last weekend to beating Ball State by just eight points at home Saturday. 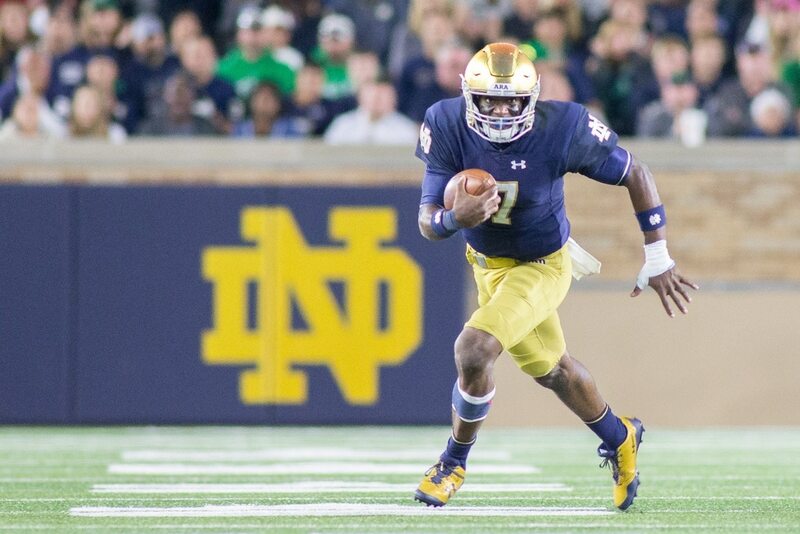 Brandon Wimbush reverted back to being careless with the football, throwing three interceptions and no touchdowns. The run game averaged just three yards per attempt. The defense allowed 349 yards, and the Cardinals converted all three of their fourth-down attempts. In short, Brian Kelly’s team was very lucky to get out with a win. If not for Jalen Elliott’s two interceptions, they probably would not have gotten it. As a quick side note, this performance might say more about Michigan than Notre Dame, but I digress. One week after an ugly loss at home against BYU, Kevin Sumlin’s Arizona Wildcats were absolutely annihilated on the road against Houston, spoiling his return to Texas in a big way. It’s easy to point to Khalil Tate’s struggles, which are pretty glaring right now. Yes, he got banged up Saturday, but that’s not the biggest issue. He’s all over the place with his accuracy, not giving his playmakers a chance while simultaneously giving the opposition more chances with turnovers. But the most alarming aspect of Arizona’s 0-2 start is that its defense is getting shredded. Houston went off for 551 yards despite possessing the ball just under 25 minutes in the game. Time after time the Wildcats were torched as Cougars broke wide open for big scores. It was an embarrassing display. The unthinkable happened on Saturday, as the longest road losing streak in the history of college football finally came to an end. Kansas, which had lost 46 straight games on the road, won decisively over Central Michigan, 31-7, smashing that streak into tiny little bits. The defense was the star of the game, as the Jayhawks picked off quarterback Tony Poljan four times, including one that turned into six points on the return. Offensively, running back Pooka Williams Jr. did most of the heavy lifting to (hopefully) help Kansas start a new streak that isn’t quite so embarrassing. It’s impossible to turn a big ship around on a dime. Given the way Nebraska has fallen on hard times in recent years, it’s going to take Scott Frost some time to turn the program into a winner. Nebraska fans must understand this. Yet it was no less heatbreaking how the Huskers finished off Frost’s debut on Saturday against Colorado. After overcoming some early turnovers, Nebraska took a one-point lead into the final minutes of the fourth quarter. Then star freshman quarterback Adrian Martinez threw a costly interception, and even worse, he injured his knee. Colorado missed a field goal, failing to capitalize on the turnover. But Nebraska backup quarterback Andrew Bunch had a very rough time in Martinez’s stead to close out the game, and ultimately he failed to generate points after the Buffaloes took a five-point lead with just over a minute to play. It was a brutal way to lose the game, and things might continue to be rough for the Cornhuskers in the coming weeks if Martinez is unable to play. The mighty Crimson Tide have not needed much precision from the kicking game to rout their first two opponents this year. After all, they have won their first two games against Louisville and Arkansas State by a combined score of 108-21. With that being said, the program’s history of issues with placekickers continues this year with graduate transfer Austin Jones looking extremely shaky so far. After missing a chip-shot field goal and one extra point in Week 1, he hit only one of three extra-point attempts on Saturday before being replaced by freshman Joseph Bulovas. Once Alabama starts battling worthy competitors later this year, these misses could be very costly. It’s been 31 straight years of Florida beating up on Kentucky. The Wildcats carried the nation’s longest losing streak to another team into Saturday night’s game in Gainesville. When they walked out of The Swamp, that streak was dead and gone. Kentucky held a tenuous 14-10 lead in the third quarter. Then quarterback Terry Wilson found receiver Lynn Bowden Jr. on a perfect deep strike down the middle of the field. Fifty-four yards later, the Gators were staring a 21-10 deficit in the face. Toward the end of the game, Florida did rally with an impressive 99-yard touchdown-scoring drive. But in the end it was too little, too late. And now the streak is over, and Kentucky fans who’ve never before seen their team beat the Gators in their lifetime can finally rejoice in this victory.